Stormy weather, Valentine’s hearts and an education. It seems that stormy weather has been unconfined this week – outside my window and even on my PC. 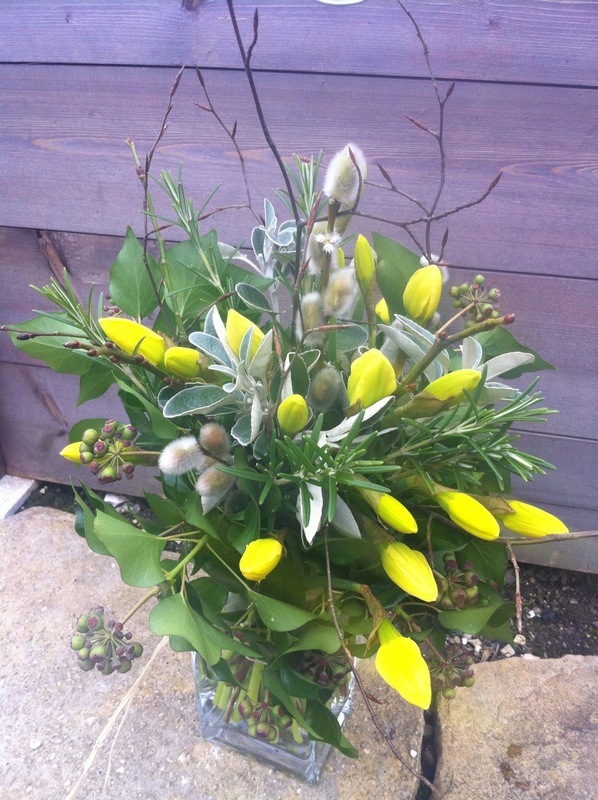 As a teacher I’m all too aware that children are whipped up to a frenzy by high winds and it would seem that the same is true for parts of the Twitter community, much of it centering on this ‘bouquet’ – for sale to you at £195 (including vase). 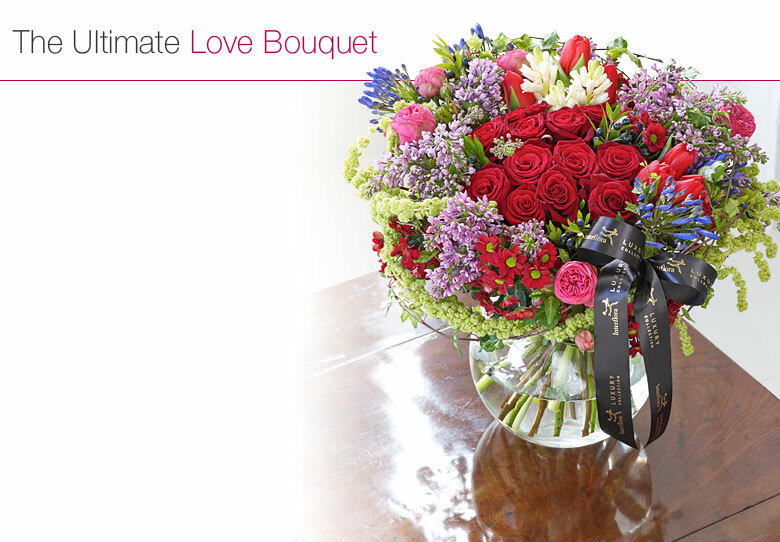 For those of you who don’t know, it is this year’s ‘ultimate’ Valentine’s Day bouquet from big business Interflora in collaboration with the RHS. Every flower was chosen because of its symbolism. A flowery expression of love. Yet it has whipped up members of the relatively small but passionate and vocal British flower growing industry because of its lack of seasonality and ‘Britishness’, something which they would like the RHS to take on board. A little investigation reveals that, in fact, the RHS has taken seasonality and ‘Britishness’ on board by linking with Tregothnan, the ancient Cornish estate which takes its sustainable credentials seriously and supplies beautiful, seasonal cut flowers. It’s just that the RHS are not exclusively promoting British-grown, cut flowers. Whatever your views on the aesthetic beauty (or lack of it) of the Interflora bouquet, its homage to the language of flowers, the tightrope that charities have to walk between awareness raising and fundraising (often by their links with big business) and the need for all businesses (multi national and artisan) to make money, it has certainly caused a bit of a stir. It has also confirmed my long-held feeling that the key to changing people’s attitudes about local, seasonal produce and getting them to see things from your point of view – even if they still don’t agree with it – is education. The day before this hit the headlines I had been discussing the very topic of seasonality and flower symbolism with my Year 5 gardening class. (The ones who are growing a cutting patch.) We are mid preparation for a poppy meadow in school to commemorate the start of the Great War. We also plan to sell poppy seedballs and instructions to members of the school community to sow in their gardens at home. Amidst the designing of seed packets, the writing of sowing instructions, the construction of signs to mark the area where the meadow will grow and posters to sell our poppy packets, we discussed the irony that a flower which means so much on November 11th is not in bloom in Britain on that day. After some debate about the problems of artificial poppies (all that paper and plastic weighed up against the need to sell for fundraising) and importing poppies from warmer climes (air miles and fuel versus work for those involved in their growth and the logistics of sending them here), the children decided that planting a modest meadow to bloom year after year was the very best kind of commemoration even if it looks ‘pretty uncool’ in November. “We could take photos”, someone suggested. I had no need to take part in the debate! At this point I’m reminded of that ancient Chinese saying that is wheeled out on every teacher training course in the land. I think our flower growing project in schools is going some way towards ensuring that our young people understand the issues surrounding seasonal, home-grown flowers. Not only will they know how to grow them, but they can make informed choices about what to buy in the future and, as they are eco-aware children, you can be sure that their parents will be told all about it too. 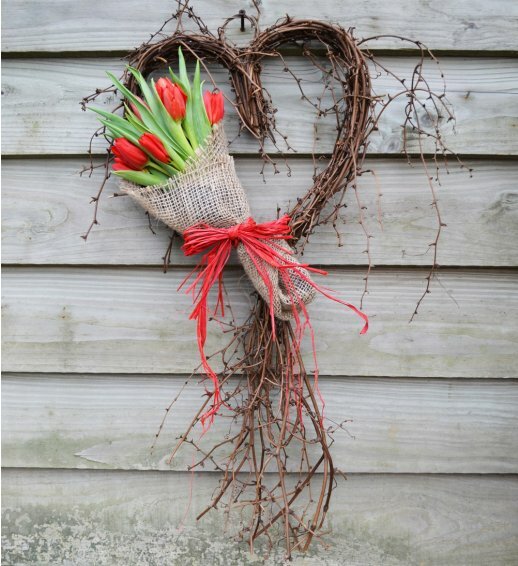 And where Valentine’s bouquets are concerned…..well, I am a girl with simple but elegant taste; the kind of girl who would be delighted were my husband to arrive home clutching either of these next Friday.